Crystal Palace manager Alan Pardew has told that it would take atleast £50million to consider selling star striker Wilfried Zaha. 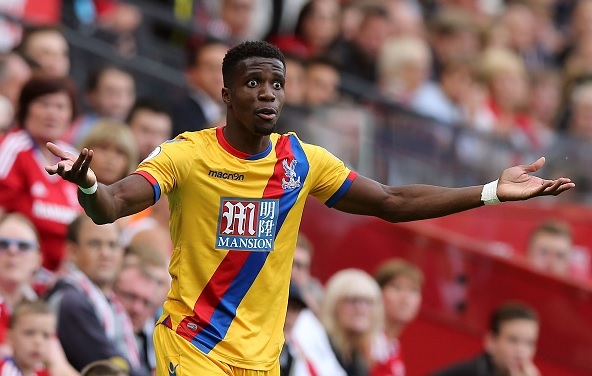 Former Manchester United forward Wilfried Zaha has been valued at £50million by his boss Alan Pardew. Also See: Latest Premier League News! Zaha has been exceptional for Palace since his move from Manchester Untied few years ago. He made an impressive performance against Middlesbrough few days ago with an amazing assist for teammate Christian Benteke and the winning goal at the Riverside Stadium. The 23-year-old has been eyed by several top clubs and the club received reportedly bid around £17million. Pardew made it clear by saying that he is not a normal squad player, he would certainly cost around somewhere near £50million. Furthermore, the French manager believes that the assist and the winning he made clearly shows how much quality he has. Pardew also revealed that Sir Alex Ferguson told him that Zaha has the quality to be a part of Old Trafford side. Zaha was the last signing made by the Scottish boss. Palace are currently sitting on 11th spot in the Premier League with four points in the starting four games. They will be hosting Stoke City on Sunday.